Subtitled 'Founded On Nature And Tested By The Experience Of Nearly Forty Years In Various Parts Of The United Kingdom. 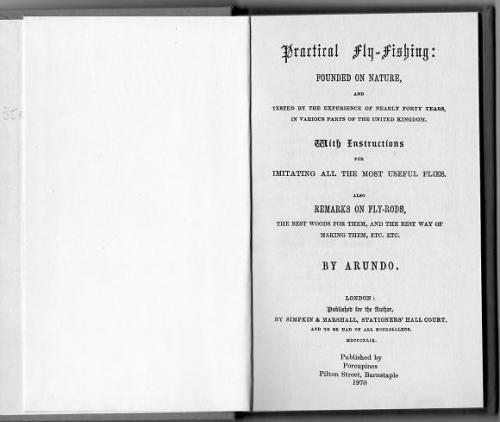 With Instructions For Imitating All The Most Useful Flies. Also Remarks On Fly-Rods'. 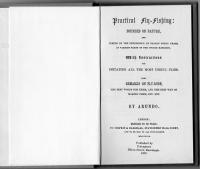 One of 350 copies reprinted from the first edition.